Local Government Engineering Services has 20 years experience in the provision of traffic and parking studies to Local Government and developers. Examples of Traffic & Parking investigations undertaken are following. Moree Plains Shire Council - Moree CBD Traffic Study. Study investigated capacity of the main street, and examined the feasibility of proposed traffic improvements. 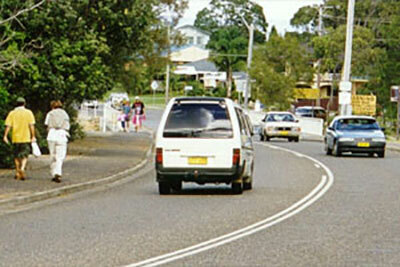 Port Macquarie Hastings Council - Lake Cathie Corridor Traffic Plan. Project involved extensive community consultation to produce a traffic and pedestrian corridor plan for the township of Lake Cathie. Great Lakes Council - Tea Gardens Traffic Management. Design of vehicular, cyclist and pedestrian management facilities in Marine Drive and Myall Street, Tea Gardens. 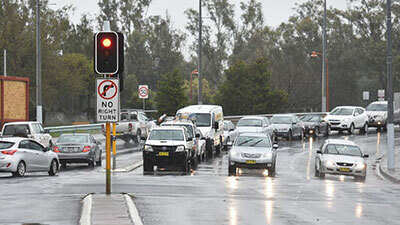 Clarence Valley Council - Maclean CBD Traffic Study. Comprehensive study which resulted in changes to the streetscape and traffic movements through the CBD. Five D Developments - Woolworths Shopping Complex in Gloucester. Traffic Impact Statement for development of a Woolworths shopping complex in Gloucester. Kempsey Shire Council - Frederickton Crematorium Development. Traffic Assessment Report for development of a crematorium in Frederickton. Tamworth Regional Council - Tamworth TAFE Local Area Traffic Management. Study examined both the on-street and off-street parking requirements for students at the TAFE campus. Muswellbrook Shire Council - William Street Carpark. Detailed design of off-street parking facilities for Muswellbrook CBD. 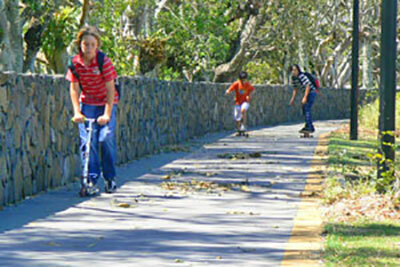 Lismore City Council - Lismore Bicycle Strategy Plan. Project included a study of existing cycling facilities and a prioritised plan for the development of cycleways in the City of Lismore. Tamworth Regional Council - Tamworth Bicycle Plan. Study to produce a major bicycle plan for the City of Tamworth.